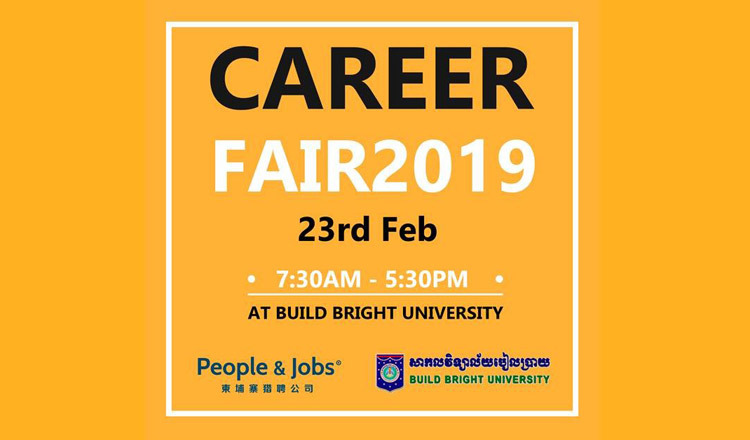 All students and job seekers are encouraged to participate in the first Job Fair event hosted on Saturday, 23rd of February at Build Bright University in Phnom Penh. Participants can look for new careers with more than 30 companies and get a chance to be interviewed on spot. The sharing session “Steps to a Winning Scholarship Application” is focused on New Zealand Asean Scholarship which will soon open its application in early February. Alumni will share the scholarship process and procedures as well as other preparations especially the keys to win this scholarship. Selected consultants will give advice and choices for participants who wish to relocate to the United States. The EB-5 Programme giving a solution on how to migrate to the US successfully will be introduced. They will discover tips to get Green Card fast and have rights to live, work and study in the US.